Vasudha Narayanan studies global Hindu traditions, focusing on Hindu art, texts, and performances in South India, Cambodia, and the United States. Currently, Narayanan is working in two major areas: 1) understanding of Hinduism as a “globalized” religion, at least since the beginning of the first century CE, when it became established in Southeast Asia and 2) a translation of a long, ninth century Tamil devotional poem, along with the performative traditions connected with it in India and among American Hindus. 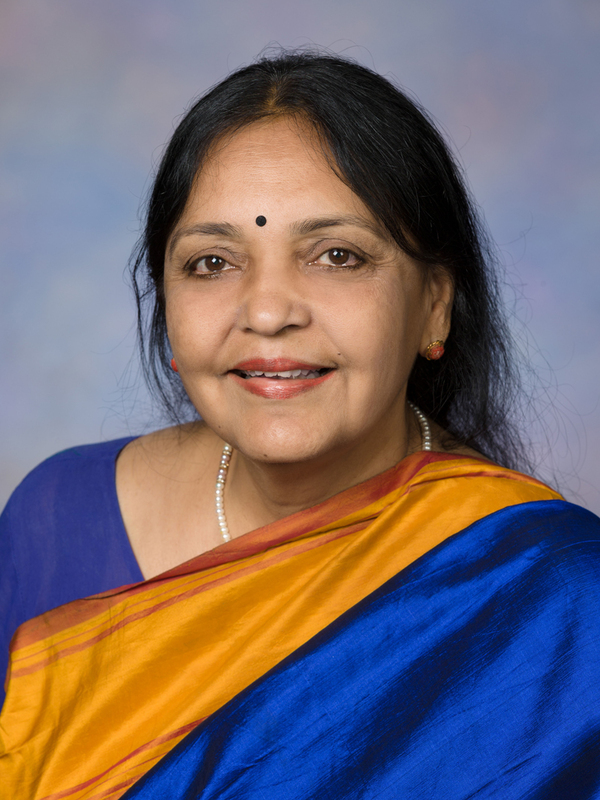 Other areas of her research include a study of the boundaries between Hinduism and Islam in certain textual and ritual contexts, as well as shared spaces in South India, and the connections between Hindu traditions and environmental connections in India. Hindu traditions are expressed with “embodied cosmologies,” through performing arts, architecture, food, and healing. In other words, while these fields are considered “secular” in the post-enlightenment template of religious studies, Narayanan argues that one has to pay attention to them to understand how people experience religion in many parts of the world. Thus, she integrates textual study with performance, as well as visual and expressive arts in both research and teaching. In the last six years, Narayanan has been part of a small (four-member) editorial team which produced a massive six-volume Encyclopedia of Hinduism. Her book Hinduism, originally published by Oxford University Press, has been translated into French, German, Spanish, and Italian. She has also written long, anchor entries in encyclopedias, and rewritten all the major entries connected with Hinduism for the Encyclopedia Britannica.